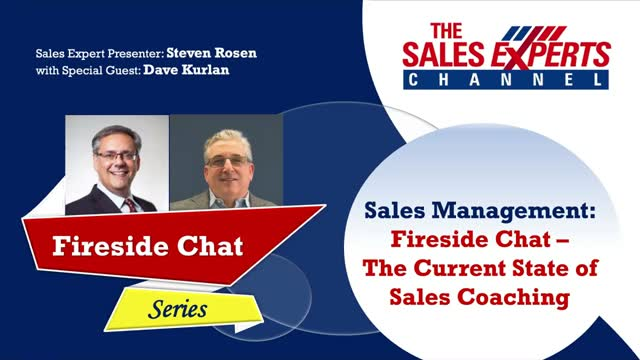 Join sales management expert Steven Rosen and his guest sales expert David Kurlan for an exciting “Fireside Chat.” In this episode, they will share their insights on what sales executives and managers need to do to ensure that they can overcome many common coaching challenges and coach their salespeople to crush their sales numbers. Are you doing a great job coaching? Are you coaching frequently enough? Steven and Dave will answer these questions and share their insights into why coaching is not working and what you can do to ensure that you can get the impact you desire from coaching.